You don’t have to resort to dangerous drugs or surgery to alleviate your discomfort. Dr. Brown can restore the normal alignment of your joints. In turn, your pain will be relieved. You may also feel greater energy and have a better outlook on life. Dr. Brown is skilled in many techniques thanks to his years in practice. The methods he may use include Gonstead, Cox Flexion-Distraction, Diversified, cervical and lumbar traction, soft tissue therapy and extremity adjusting. If you prefer an instrument adjustment, the Activator® is available. We’ll make sure that you’re comfortable and satisfied with your care, adapting it as needed. When appropriate, we may add a therapy to your chiropractic care. These include electric muscle stimulation, ultrasound, traction, cold laser therapy and spinal decompression. With these options, we can address the soft tissues, muscles, ligaments, tendons and nerves of the body. Get rid of your pain. Contact us today to learn whether we’re the right place for you! 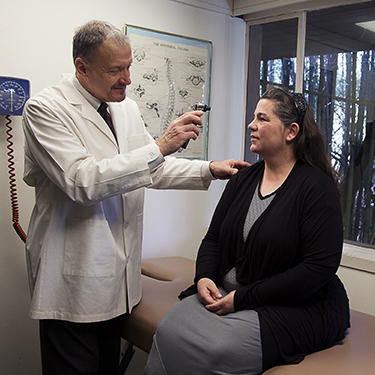 We provide free consultations and exams, and have early morning appointments available for your convenience.